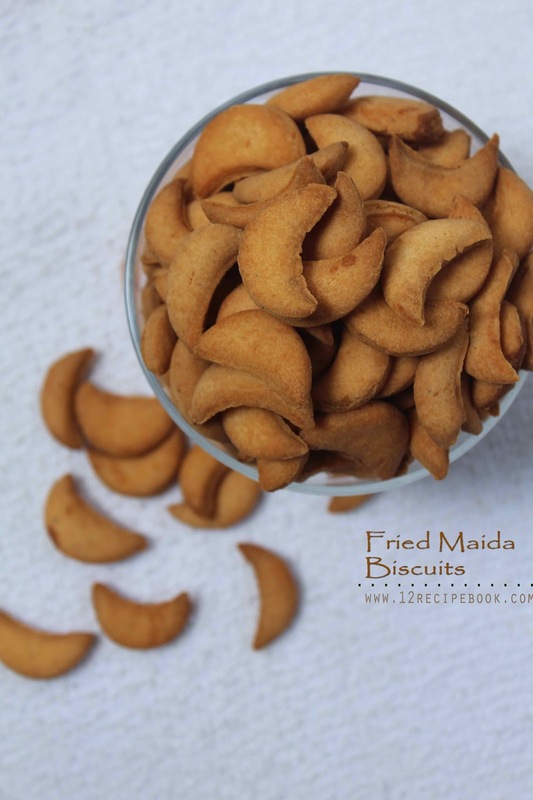 Here is an easy and quick fried maida biscuit recipe, that we can make bulk in quantity and serve whenever we wants. We can make them in any shapes like square, diamond or half moons. In a blender add eggs, sugar and cardamom powder. Add blended egg mixture in to it along with the ghee and knead in to a smooth dough. (if the dough is sticky add little flour, or if it is too dry add little milk or water to get a smooth dough). After that Roll it using a rolling pin in to 1/4 inch thickens sheet. Now take a small round cookie cutter or bottle cap and cut the sheet in to small half moons. 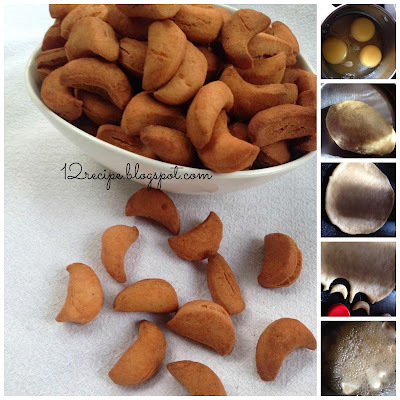 After that deep fry the prepared halfmoons in hot oil of medium flame. Fry until nice golden in color. Drain in to paper towels and after cools down serve and store the excess quantity in an airtight container for long use. 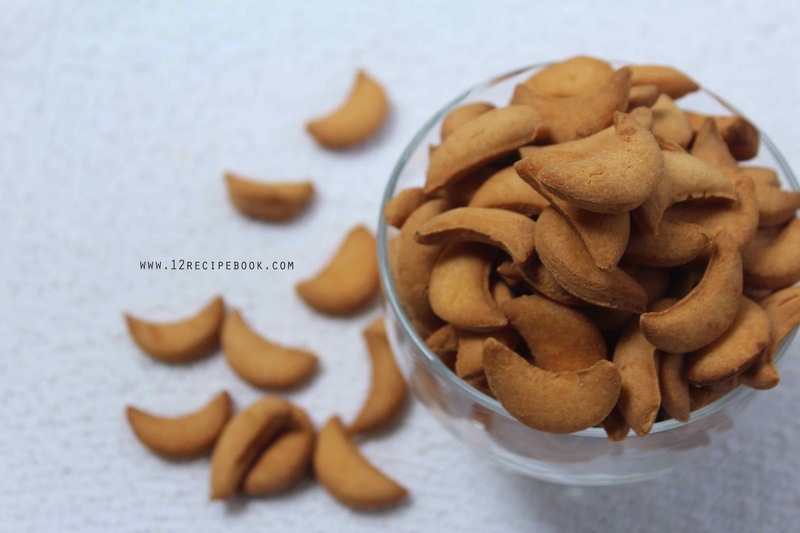 Note: If you want the cookies to be crispy outside with a chewy inside roll the sheets in to 1/4 inch thickens (after frying, it increases the size) and if you need very crispy biscuits then roll the dough in to very thin sheets.